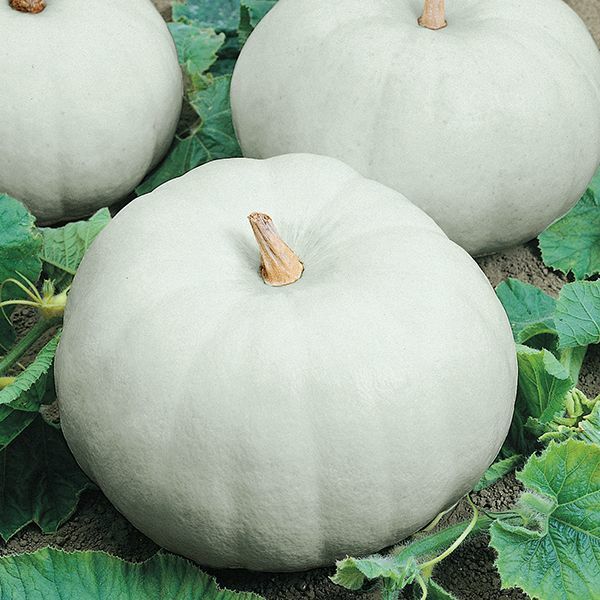 Casper Pumpkins are a beautiful vivid white with thick orange flesh of excellent eating quality. They grow to uniform 9-12 inch in diameter. 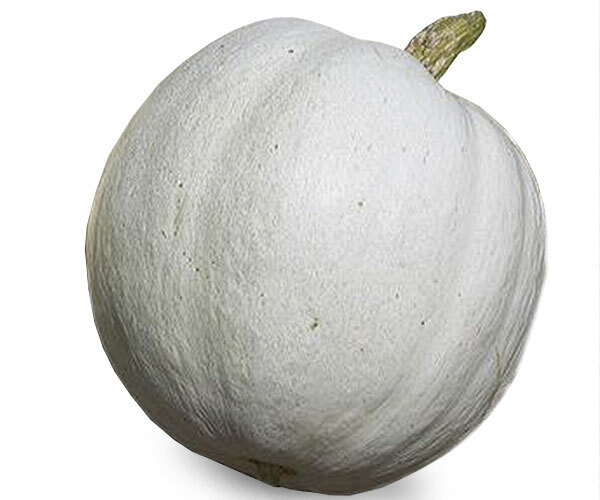 Casper Pumpkins have smooth, white rind with a bluish tinge at times, though less so than many other white varieties, with a tan coloured handle. They grow to be 18 to 24 inches (45 to 60 cm) wide by 8 to 10 inches (20 to 25 cm) tall, and weigh 10 to 20 pounds (4 � kg to 9 kg.) They have good tasting, dark-orange flesh. Can be oversweet. 100 days from seed. Casper Pumpkins were developed by a Jerry Howell of Fonthill, Ontario (near Niagara Falls, Canada.) One of the parents was a Shamrock Pumpkin. Released 1992.